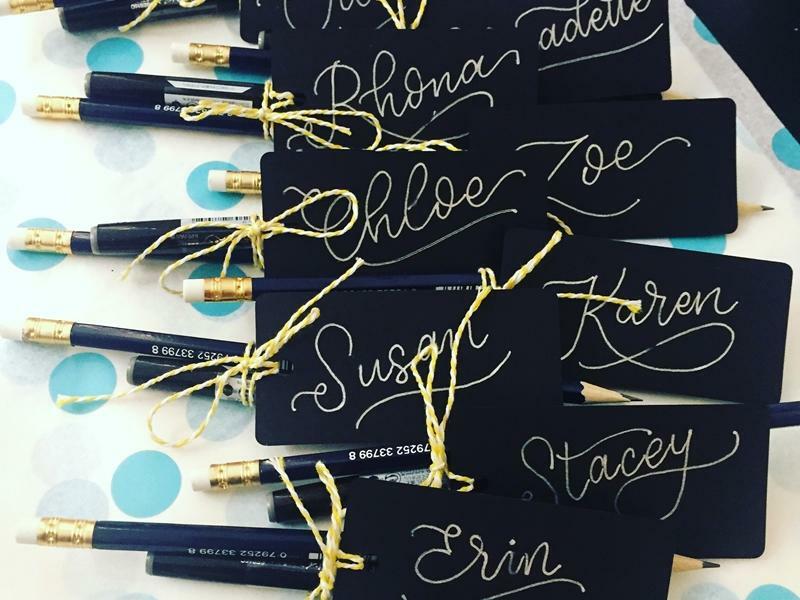 If you have taken part in the Beginners workshop or you're a little more experienced then Toasty Type's Intermediate Brush Pen Calligraphy Workshop is perfect to help you develop your personal style! If you're unsure whether this workshop is for you have a read of some of the comments from previous workshoppers! Linda commented; "Had a brilliant night at the brush pen calligraphy class! It was well organised, with step by step instructions building us up to writing some fabulous letters, then actual words. The workbooks were exactly what a total beginner needs and the brownies? What can I say? I’d book again just for them. Thanks Jen!" Anna said "Loved it!! Great class, cakes, playlist and company. Jen runs a fantastic workshop, steady pace with lots of guidance and useful information. Highly recommended!" While we take every opportunity to ensure the details for Intermediate Brush Pen Calligraphy Workshops are accurate, we always advise that you contact the event organiser before setting out for the event to avoid disapointment.